In the 1930s Mexico of Graham Greene’s classic novel, God and religion have been outlawed and any priest who hasn’t escaped or relinquished his faith has been hunted down and killed. The last surviving priest who still practices religious rites is not only running for his life, but self-destructing under the weight of both his outlaw situation and his past. I was fascinated by this unnamed main character, a ‘whiskey priest’ who drinks endlessly and is struggling to come to terms with the mortal sin he has committed and feels he can never be absolved of. Even as he runs and hides and does all he can to avoid capture and be able to continue serving his faith, he is buried deep in his own emotional upheaval and the heavy judgment his faith imposes. Before he committed his mortal sin, the whiskey priest had no empathy for anyone. His faith was a pulpit to stand on. Now, “in his corruption,” he sees what the grace of God and Catholic piety really mean, and his faith becomes a rock to cling to. 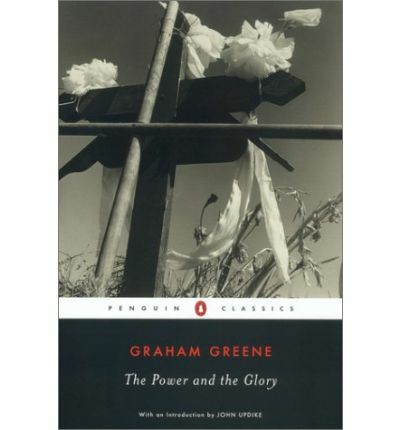 Greene’s novel was widely criticized by members of the Catholic clergy when it was first published for being ‘anti-Catholic’ and offensive. For me, though, and many others, including Pope Paul VI who met Greene in 1965, the novel celebrates piety and faith in their pure and empathetic forms. Greene’s novel is full of gorgeous description of the decaying Mexican towns and the cold and mountainous countryside. Greene wrote his novel in short and very powerful scenes that pack a psychological punch. They are uncomfortable and beautiful at once. When the priest helplessly watches the policemen drink down his wine, I was livid with anger on his behalf. When he meets an elderly man in prison who takes comfort in being near him, I was moved by the connection they quickly formed. The end of the whiskey priest’s story is both triumphant and tragic and verifies the power and the glory of the whisky priest’s Catholic faith. This is a short novel and a quick read, but it is profoundly affecting. I highly recommend this novel to anyone who has struggled to understand their own identity and sense of purpose: namely, everyone. Greene’s explorations of humanity and emotion are not often matched in their impact.